Maintaining an active and healthy lifestyle is a top priority and that does not change when I am pregnant. As soon as my energy comes back in the second trimester, I’m increasing my heart rate and looking for ways to stay active. 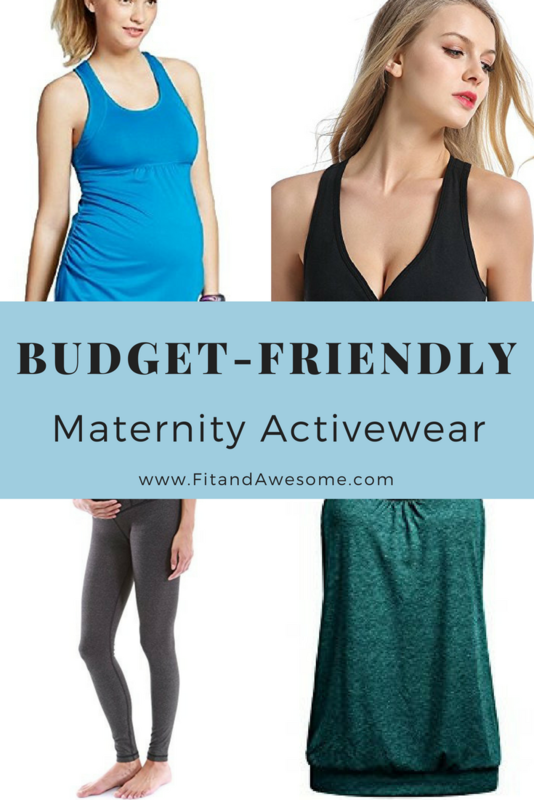 I’m sharing a few budget-friendly maternity activewear styles that can support your growing bump! First and foremost, it is so important to find your local maternity store and schedule a bra fitting. During pregnancy, your band size can so much as double thanks to that little baby growing. Your ribcage is expanding to accommodate pregnancy and you’re going to want a bra that is comfortable. The same goes for a sports bra. You want to find a supportive style and maybe even nursing-friendly! These are a few of my go-to brands. I’ve always been more comfortable in a loose tank top, which keeps things pretty simple during pregnancy. Often times I’m not even wearing maternity activewear tops at all! But what I do try to focus on is finding tops that are flexible during each trimester and stage of pregnancy. 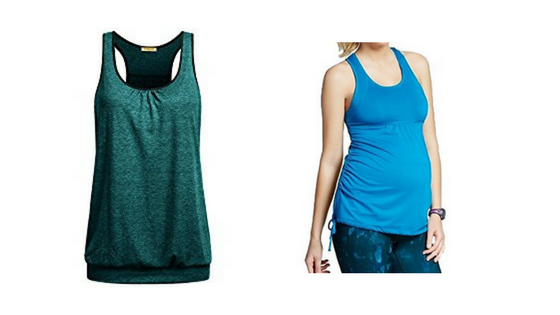 These brands have great fabric and styles for your growing belly. The third trimester for both pregnancies have been in the hotter months, so I am always looking for a great pair of shorts to fit my belly and keep me staying cool. 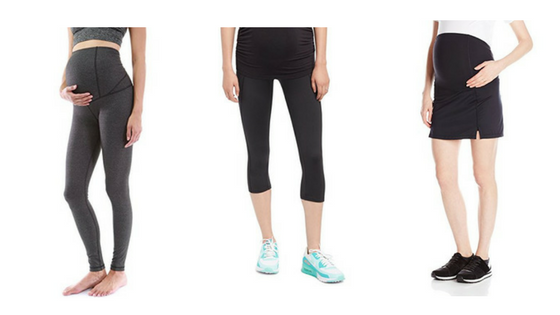 The activewear pants with a full panel are great for supporting your belly and stay on! I can’t tell you how many times I’ve purchased capris with just a belly band and they are constantly slipping down. The dry-wick material is one of my go-to’s to stay cool and comfortable. Check out a few of my favorites! The great thing about all of these brands is they stay in any budget! You look awesome for your work outs, you’ll feel awesome at your workouts and you’re not breaking the bank! What are your favorite maternity brands? Do you like to splurge or save when it comes to maternity fashion?